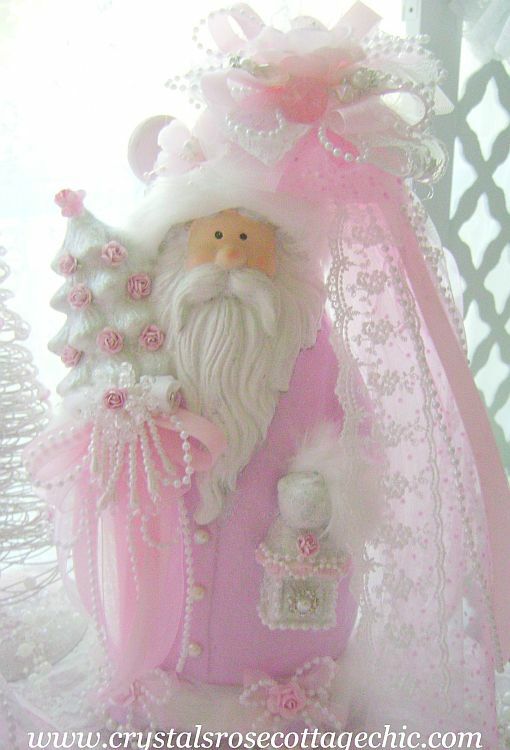 Shabby Chic, pink ,Victorian Santa embellished with many layers of soft pink tulle, glitter polka dot tulle, ribbons , lace and pearl strands. 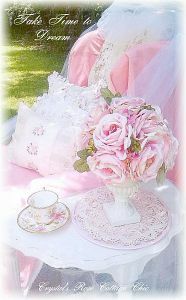 He's holding a lantern in one hand and a white Christmas tree with pink, iridescent glitter and roses in the other hand. 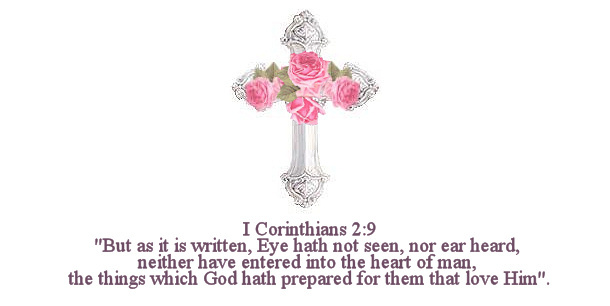 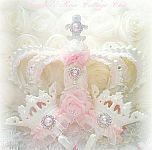 Pearls line the edges of his pink boots and bows of organza ribbons and pearls top them. 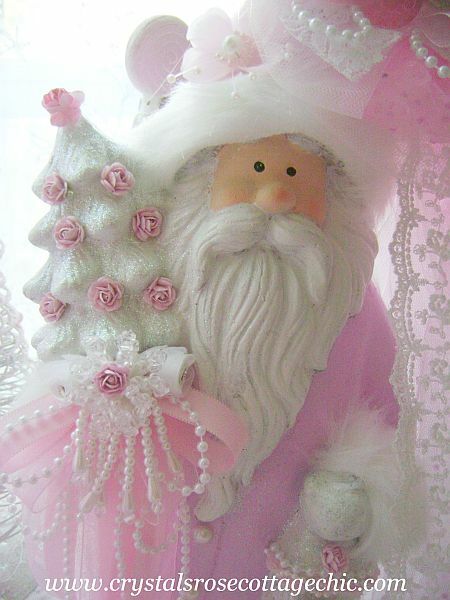 His hat has been wonderfully embellished as well as the base of the darling Christmas tree. 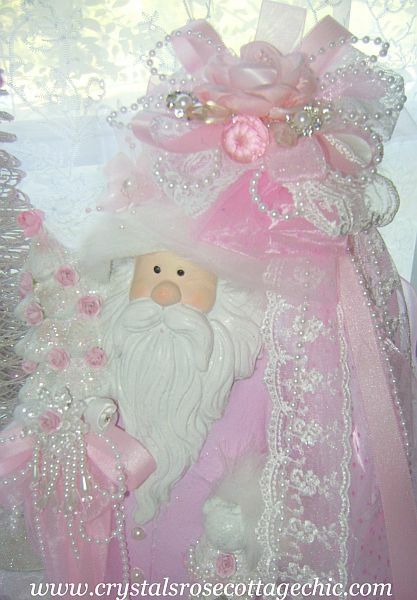 This special Santa is one of a kind and would make a delightful addition to your pink Christmas decor.